Give a Bass Pro Shops Gift Card to your favorite outdoor enthusiast. Gift Cards can be redeemed for online purchases, catalog orders, and purchases made at Bass Pro Shops retail stores. A perfect gift for your favorite outdoor enthusiast for any occasion. 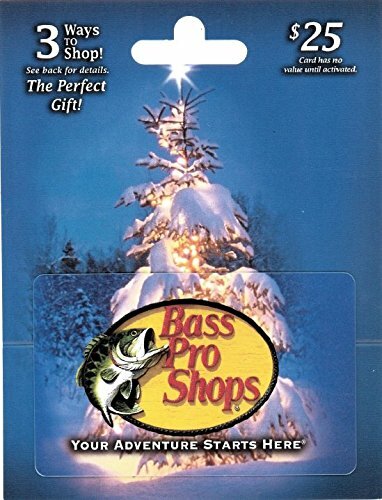 Gift Cards can be redeemed for online purchases, catalog orders, and purchases made at Bass Pro Shops retail stores. In addition the gift card can be redeemed at Big Cedar Lodge and Islamorada Fish Company.